As the sun is STILL shining… and my last post didn’t jinx it… I would like to introduce you all to natural ways to highlight or dye your hair. I was inspired to write this post yesterday when I was out with my sisters and niece. Hair dye was purchased – a divine plum (I can’t wait to see her new look!!). Whilst in the aisle of a shop in Freshney Place, Grimsby, several people picked up hair lightening kits. As a herbalist I try to use natural products where possible and minimise the amount of chemicals I use. It is really easy to lighten your hair naturally using herbs. If you are spending time in the garden or outdoors why not use lemon juice or chamomile to lighten your hair naturally. 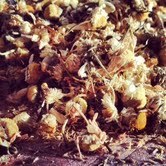 You can make a tea using dried chamomile flowers (or fresh) – infuse a handful of fresh flowers or a teaspoon of dried flowers in a cup of boiling water for 5 – 10 minutes. Allow to cool down, I have found it easy to put the infusion in a spray bottle and then spray onto hair. If I do this I add a quarter of a cup of vodka so that it doesn’t go off. This can be slightly drying but will quickly evaporate on a hot day. You can also dissolve some salt into the mixture to get a sun-kissed beach head of hair. You can do the same with lemon or apply it to your hair neat. If you would like streaks of sun lightened hair then ensure that you apply the lemon or chamomile to the sections of your hair that you want lightened. Or if you would like hair that gradually lightens like the L’oreal Paris Preference range which is currently being advertised on the TV then make a large amount of chamomile tea, dip you hair in it before going out in the sun and every time you come back indoors re-dip your hair in the herbal infusion ensuring that you do not wet as much hair as the last time. Now you may not want your hair lighter – if this is your case then you need to grow/purchase or harvest rosemary, nettles and/or sage. A natural way to darken ones hair is to get a large handful of sage leaves, cover with 2 teaspoons of borax and 1/2 pint of boiling water. Mix well and leave until it goes cold. The borax helps to preserve the infusion. You can then carefully apply it to your hair with a brush, you can repeat this process as often as you like as there are no side effects to topical application of sage infusion. Rosemary and nettles are both reputed to darken greying hair. 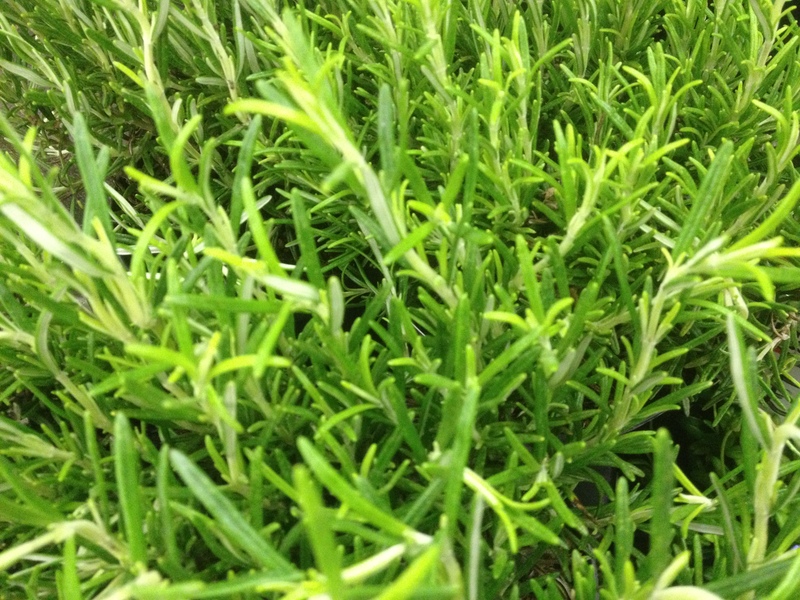 Rosemary also makes a great rinse for people with auburn hair and helps to clear dandruff. You can make herbal infusions with any of these herbs or a combination of the three. You always need more fresh herb than dried when you make a herbal infusion, if you make it in a teapot which has a cover more of the volatile (essential) oils are preserved, the wonderful aroma from herbs are the actual volatile oils which you are sensing from your olfactory senses (sense of smell). There are several ways that you can use herbs to darken your natural colour or aim to prevent premature greying of your hair. 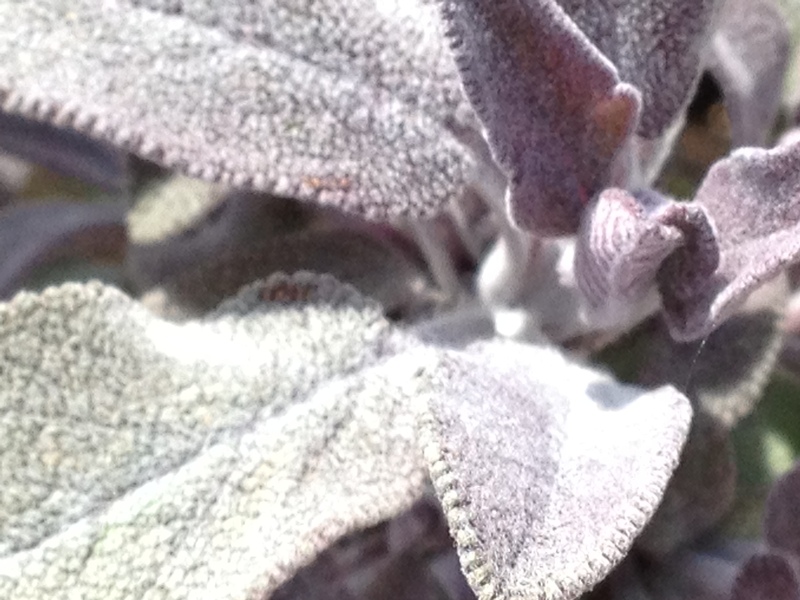 Rosemary is used to darken greying hair. You can make up an infusion and use as a rinse between shampooing and after conditioning. You can make an infusion and place in a spray bottle and apply prior to putting your hair up. You can apply the herbal infusion to your brush as mentioned before. You can also make the infusion into a shampoo or conditioner itself. Another way is to allow the herbs to steep in a plant based oil for several weeks. Keep this oil out of the sunlight while you are making it and shake it daily ensuring that no plant material is poking out of the oil (as it can go mouldy). You can use the oil as a deep conditioning treatment once a week. Try applying it to your hair (it works better if it is warm) and leave on for a few hours under a hot towel or overnight and then wash out with your normal shampoo and conditioner. Not only are you giving your hair a natural moisturiser but the infused herbs will work to darken your hair. The methods that I have shared with you will vary in results depending on your hair type, diet, length of time you have used it, strength of the sun etc. The key is these are natural methods of hair care. The lightening methods are dependant on the sunshine – the sun naturally lightens our hair but the addition of the herbs helps to accentuate it. Of course there is henna – which I am sure that most of you would be aware of. Henna is a climbing plant which produces a red/auburn colour – a natural way to get beautiful red hair. It would be great if you could post your pictures of your hair once they have been highlighted/dyed naturally. If you would like to learn how to make shampoo, conditioner, infused oils, hair masks etc., I can offer one to one sessions in the comfort of your home (if you live in the Grimsby and Cleethorpes area), possible workshops on how to make herbal body care products are being planned and a possible location is being sought. Any ideas – please let me know. This entry was posted in Complementary and Alternative Medicine, hair care, Health and Wellbeing, Herbal Medicine, Herbalism, herbs, natural hair dyes and tagged cleethorpes, darkening grey, darkening hair, grimsby, hair care, health, health and wellbeing, help, herbal medicine, herbal support, herbalism, herbalist, herbs, holistic health, infusions, lightening hair, natural, natural hair care, natural hair dye, natural remedies, seasonal, wellbeing by Herbs for Health and Wellbeing. Bookmark the permalink. includes plenty of helpful facts, thanks for providing these kinds of information. U have a awesome weblog over here. I just wanna thank you for all the interesting information on it. I’ll follow your website if you keep up the good work! Great informative post! thanks to share different options to dye hair naturally. I lose shine of my hair because of artificial dye products. Now, i will definitely adopt natural hair dye option to keep my hair healthy.